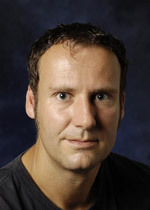 Stefan joined Macquarie University in July 2007. He has held positions at Queensland University of Technology and University of Karlsruhe in Germany where he received a PhD in Business Engineering. His current research interests focus on risk management and financial econometrics including the fields of energy and commodity markets, credit risk, operational risk, emissions trading, international financial markets, real estate finance and the economics of climate change. He has conducted various consulting and research projects with financial institutions in Europe and Australia. Stefan also has a strong research portfolio and has published - or has forthcoming - papers in international high-impact journals including the Journal of Banking and Finance, Energy Economics, the European Journal of Operational Research, Global Environmental Change, Conservation Biology, the Journal of Portfolio Management, the Journal of Futures Markets, Computers and Operations Research, the Economic Record, The Journal of Credit Risk, and Studies on Non-Linear Dynamics & Econometrics. He was also the recipient of various grants, including two ARC Discovery Grants on "Managing the risk of price spikes, dependencies and contagion effects in Australian electricity markets" and "Risk management with real-time financial and business conditions indicators". Managing the Risk of Price Spikes, Dependencies and Contagion Effects in Australian Electricity Markets, ARC Discovery Grant, Jan 2010 - Dec 2012 (AUD $170,000), with Rafal Weron, Rodney Wolff. Risk management with real-time financial and business conditions indicators, ARC Discovery Grant, Jan 2012 - Dec 2014 (AUD $255,000), with Jeffrey Sheen. "Developing an Excel spread sheet tool for local governments to compare and prioritise investment in climate adaptation," NCCARF Adaptation Grant Scheme, Jan 2012 - March 2013 (AUD $175,000), with Ann Henderson-Sellers, Supriya Mathew, Ros Taplyn, Louise Pilkington, Jenny Scott. "Development of an Operational Risk Capital Model", Macquarie Enterprise Partnerships Scheme Pilot Research Grant, Jan 2012-Dec 2012 (AUD $99,000), with Piet DeJong, Chi Truong. "Early-Warning Systems and Managing Systemic Risks using Real-Time Financial and Business Conditions Indicators", Centre for International Finance and Regulation Research Grant 2012-2014. (AUD $537,000), with Jeffrey Sheen, Chi Truong. "Modelling climate impacted risks with generalised additive models for location, scale and shape" Actuarial Research Grants, Jan 2013-Dec 2013 (AUD $38,000), with John McAneney, David Pitt, Robin van den Honert, Tony Coleman. "The MySuper Default Option: Assessing Portfolio Diversification, Suitability for Contributors and Performance of Superannuation Investment Strategies", Centre for International Finance and Regulation Research Grant 2013-2014. (AUD $80,000), with Robert Bianchi, Michael Drew, Yuri Salazar. "Real Estate Cycles and Bank Systemic Risk", Centre for International Finance and Regulation Research Grant 2014-2015. (AUD $140,000), with Egon Kalotay, Geoff Loudon, Ed Altman. Professor Trueck's research interests focus on risk management and financial econometrics including the fields of energy and commodity markets, credit risk, operational risk, emissions trading, international financial markets, real estate finance and the economics of climate change. Managing Risks from Climate Impacted Hazards - The Value of Investment Flexibility under Uncertainty (with C. Truong, S. Mathew), in European Journal of Operational Research, forthcoming. Assessing sovereign default risk: a bottom-up approach (with F. Liu, E. Kalotay) Economic Modeling, forthcoming. Factors of the Term Structure of Sovereign Yield Spreads (with D. Wellmann), in Journal of International Money and Finance 81, 2018. Quantifying catastrophic and climate impacted hazards based on local expert opinions (with T. Keighley, T. Longden, S. Mathew), Journal of Environmental Management 205, 2017. The Diversification Delta – a different perspective (with Y. Salazar, R. Bianchi, M. Drew), in Journal of Portfolio Management, 43(4), 2017. It's not now or never: Implications of Investment Timing and Risk Aversion on Climate Adaptation to Extreme Events (with C. Truong), in European Journal of Operational Research, 253(3), 2016.
Financing alternative energy projects: an examination of challenges and opportunities for local government (with G. Cheung, P Davies), in Energy Policy, 97 2016. Convenience Yields and Risk Premiums in the EU-ETS - Evidence from the Kyoto Commitment Period (with R. Weron), in Journal of Futures Markets, 36(6), 2016. The principal-agent problem in coastal development: response to Mills et al., (with C. Truong), in Conservation Biology, 30(5), 2016. Modeling Spot Price Dependence in Australian Electricity Markets with Applications to Risk Management (with K. Ignatieva), Computers and Operations Research, 66,2015. The Dynamics of Returns on Renewable Energy Companies: A State-Space Approach (with J. Inchauspe, R. Ripple), Energy Economics 48, 2015. Daily Business and External Condition Indices for the Australian Economy (with J. Sheen, B. Wang), Economic Record 91, 2015. An empirical comparison of alternative schemes for combining electricity spot price forecasts (with J Nowotarski, E Raviv, R Weron), Energy Economics 46, 2014. Unbiasedness and Risk Premiums in the Indian Currency Futures Market (with S. Kumar), in Journal of International Financial Markets, Institutions and Money 29, 2014. Modelling the Dependence Structure between Australian Equity and Real Estate Markets - a Conditional Copula Approach (with N. Rong), in Australasian Accounting, Business and Finance Journal 8 (5), 2014. Identifying spikes and seasonal components in electricity spot price data: A guide to robust modelling (with J. Janczura, R Weron, R Wolff), Energy Economics 38, 2013. Regional and Global Contagion in Real Estate Investment Trusts: The case of the Financial Crisis of 2007-2009 (with G. Milunovich), in Journal of Property Investment and Finance 31(1), 2013. Kochi, India case study of climate adaptation to floods: ranking local government investment options (with S. Mathew, A Henderson-Sellers), Global Environmental Change 22, 2012. The relationship between carbon, commodity and financial markets - a copula analysis (with M. Gronwald and J. Ketterer), Economic Record 87, September, 2011. Interaction between Australian Carbon Prices and Energy Prices (with D. Cotton), Australasian Journal of Environmental Management 18(4), 2011. Style Factors and Value-at-Risk of Asia-Focused hedge funds (with H. Weng), Pacific-Basin Finance Journal 19(5), 2011. Returns of REITS and Stock Markets: Measuring Dependence and Risk (with N. Rong), in Journal of Property Investment and Finance 28(1), 2010. Evaluation of Investment Options Mitigating Catastrophic Losses under the Impacts of Climate Change (with C. Truong), Environmental Economics 1(2), 2010. Modeling the Price Dynamics of CO2 Emission Allowances (with E. Benz), in Energy Economics 31(1), 2009. Risk and Return in European Property Markets:An Empirical Investigation (with D. Lorenz), in Journal of European Real Estate Research 1(3), 2008. Forecasting Credit Migration Matrices with Business Cycle Effects - A Model Comparison, in European Journal of Finance 14(5), 2008. Spot and Derivative pricing in the EEX Power Market (with M. Bierbrauer, C. Menn, S.T. Rachev), in Journal of Banking and Finance 31(11), 2007. Quantifying Risk in the Electricity Business: A RAROC-based Approach (with M. Prokopczuk, S.T. Rachev, G. Schindlmayr), in Energy Economics 29(5), 2007. Exploring the Relationship between Market Value and Sustainable Construction (with D. Lorenz and T. Luetzkendorf), in Property Management 25(2), 2007. Modeling Catastrophe Claims with Left-Truncated Severity Distributions (with K. Burnecki, A. Chernobai, S.T. Rachev and R. Weron), in Computational Statistics 21(4), 2006. Point and Interval Forecasting of Spot Electricity Prices: Linear vs. Non-Linear Time Series (with R. Weron, A. Misiorek), in Studies in Non-Linear Dynamics & Econometrics 10(3), 2006. Addressing Risk and Uncertainty in Property Valuations (with D. Lorenz and T. Luetzkendorf), in Journal of Property Investment and Finance 24(5), 2006.
Credit Portfolio Risk and PD Confidence Sets through the Business Cycle (with S.T. Rachev), in Journal of Credit Risk, 1(4), 2005..
A Note on the Estimation of the Frequency and Severity Distribution of Operational Losses (with A. Chernobai, C. Menn and S.T. Rachev), in Applied Probability Trust, 30(2), 2005. Modelling Electricity Prices with Regime Switching Models (with R.Weron and M. Bierbrauer), in Lecture Notes in Computer Science 3039, 2004. Modelling Electricity Prices: Jump Diffusion and Regime Switching (with R.Weron and M. Bierbrauer), in Physica A - Statistical Mechanics and its Applications, 336, Elsevier 2004. Estimation of Operational Value-at-Risk with Minimum Collection Thresholds, (with A. Chernobai, C. Menn and S.T. Rachev), in: Roesch and Scheule (eds), Model Risk in financial crises - challenges and solution for financial risk models, Risk Books 2010. Assessing climate change adaptation options for local government (with W. Bradford, A. Henderson-Sellers, S. Mathew, J. Scott, M. Street and R. Taplin), in: Henderson-Sellers and You (eds), Climate Change Monitoring and Strategy, Sydney University Press 2010. Recent Advances in Credit Risk Management (with F. Morley, B. Racheva), in: G. Bol et al. (eds), Risk Assessment: Decisions in Banking and Finance, Physika Verlag, 2008. Hedgefonds im Risikomanagement (with F. Hausen and S. T. Rachev), in: Erben, R. (ed), Risikomanager Jahrbuch 2008, Bank-Verlag, 2008. Treatment of Incomplete Data in the Field of Operational Risk: The Effects on Parameter Estimates, EL and UL Figures (with A. Chernobai, C. Menn, S.T. Rachev, M. Moscadelli), in: E. Davis (ed), The Advanced Measurement Approach to Operational Risk, Risk Books, 2006. Time Series Properties of a Rating System based on Financial Ratios (with U. Krueger and M. Stoetzel), in Deutsche Bundesbank Discussion Paper Series: Banking & Financial Studies 14, 2005. Loss Given Default und Recovery Rates - eine Einfaehrung (with J. Deidersen, P. Niebling and S.T. Rachev), in Modernes Risikomanagement, Frank Romeike (ed), Wiley, 2004. Estimation, Adjustment and Application of Transition Matrices in Credit Risk Models (with. E. Özturkmen) in Handbook: Computational & Numerical Methods in Finance, Birkhauser, 2004.
Credit Risk Models in Practice: A Review (with J. Peppel) in Credit Risk: Measurement, Evaluation and Management, Physika, 2003. Approaches to Credit Risk in the New Basel Capital Accord (with A. Benzin and S.T. Rachev) in Credit Risk: Measurement, Evaluation and Management, Physika, 2003. Rating Based Modeling of Credit Risk - Theory and Application of Migration Matrices (with S.T. Rachev), Academic Press, Elsevier. Martin Gurny (Principal Supervisor), 'Default Probabilities in Credit Risk Management: Estimation, Model Calibration and Backtesting', Completed in 2016. Dennis Wellmann (Principal Supervisor), 'Predictive Power of the Term Structure', Completed in 2016. Haijie Weng (Principal Supervisor), 'Topics in Financial Risk Management and Fund Management', Completed in 2015. Deborah Joan Cotton (Principal Supervisor), Efficacy of Emissions Trading Schemes in Australia, Completed in 2015. Rangga Handika (Principal Supervisor), 'Risks and Risk Premiums in Commodity Markets', Completed in 2014. Ning Rong (Associate Supervisor), 'Risk Quantification with Application in Portfolio Management and Derivatives Pricing', Completed in 2013. Jie Ding (Associate Supervidor), 'Retirement Financial Planning', Completed in 2013. Lurion Mario De Mello (Principal Supervisor), Title 'Upstream and Downstream Hydrocarbon Prices: Crude Oil to Plastics', Completed in 2012. Katia Ignatieva (Principal Supervisor), Title 'Volatility Modeling in Equity and Energy Markets with Applications to Derivative Pricing, Hedging and Risk Management', Completed in 2012. Supriya Matthew (Associate Supervisor), Title 'Decision-Making Methods for Local Governments Adaptation to Future Climate Extremes', Completed in 2012. Fatemah Nazifi (Associate Supervisor), Title 'Evaluation of the Relative of Efficiencies of Carbon Trading Schemes', Completed in 2011. Last Updated: 2017-11-30 13:36:45 by Unknown LDAP User.